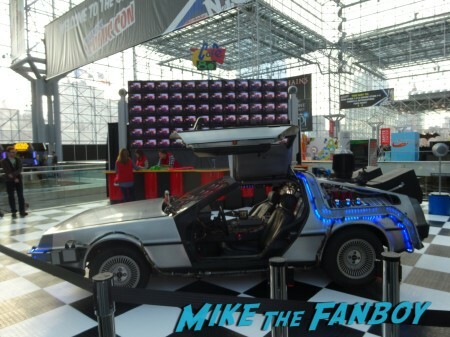 Home / Conventions • The Lovely Erica / NYCC Recap: Back in Time with Back to the Future! Get your own Pepsi Perfect! In celebration of the 30th anniversary of Back to the Future (can it really be 30 years?!?!?! 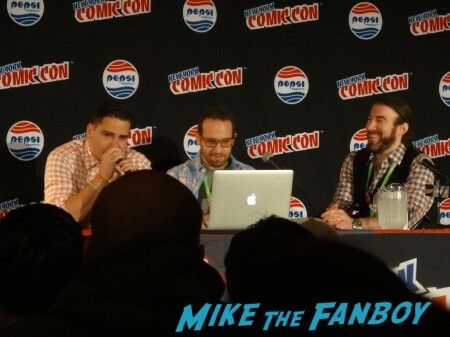 ), New York Comic Con had a panel for the new documentary, Back in Time, celebrating the classic film. 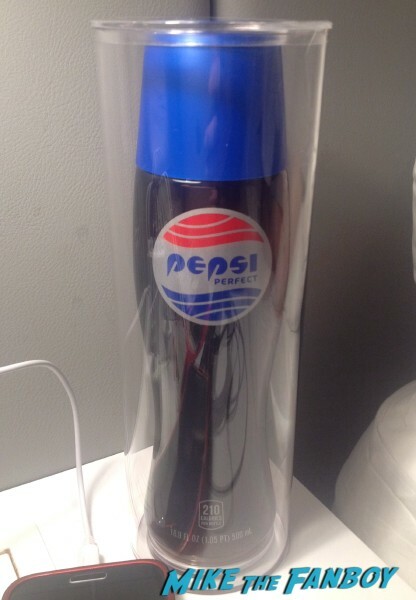 Pepsi joined in the celebration with limited edition bottles of Pepsi Perfect and hundreds of Marty McFlys! 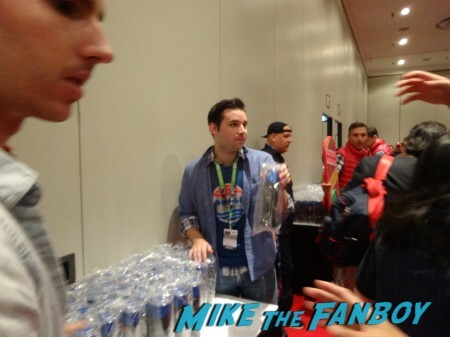 The first thing I did at New York Comic Con this year was to get in line for the packed Back in Time panel. Back in Time is a new documentary celebrating Back to Future featuring all kinds of behind-the-scenes stories with Steven Spielberg, Michael J. 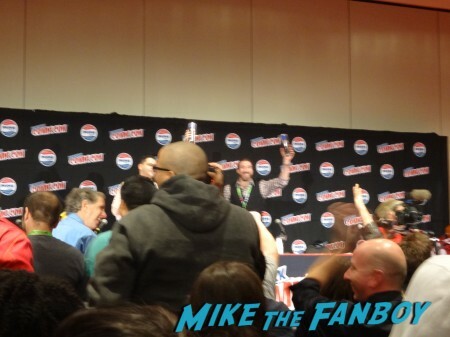 Fox, Lea Thompson, Christopher Lloyd and more. Yep, they talked to just about everyone! 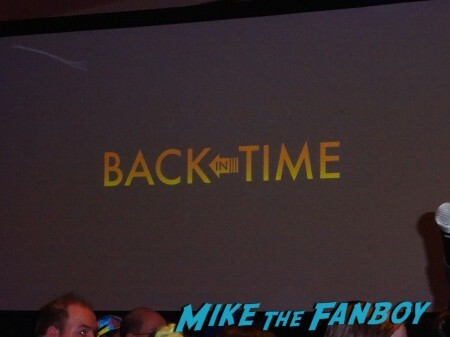 The Back in Time documentary is going on tour and at each stop they’ll show the film, host a concert with the Flux Capacitors (featuring 80’s music), and also have Claudia Wells (Jennifer in the first film), Don Fullilove (Maaaaayor Goldie Wilson) and Jeffrey Weissman (George McFly in the second and third films) on hand. Sounds like a lot of fun, right? Check out the tour schedule here. The documentary isn’t the only celebration of Back to the Future this year. Calvin Klein had a sweepstakes, we have hoverboards and, well, the Chicago Cubs are attempting to end the longest losing streak in sports. Oh, and Pepsi is making Pepsi Perfect. 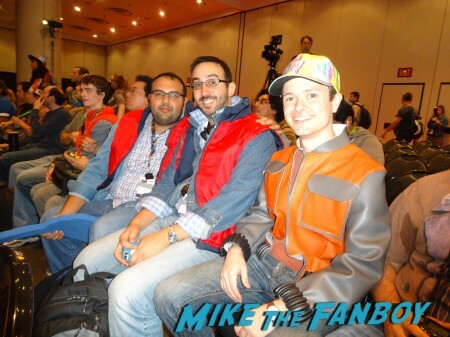 Remember that scene when Marty McFly goes to October 21st, 2015 and visits the Cafe 80’s? He orders a Pepsi Perfect for $50. On October 21st, Pepsi will have limited quantities of Pepsi Perfect on sale. They will be making the special contour bottle just for this anniversary celebration! 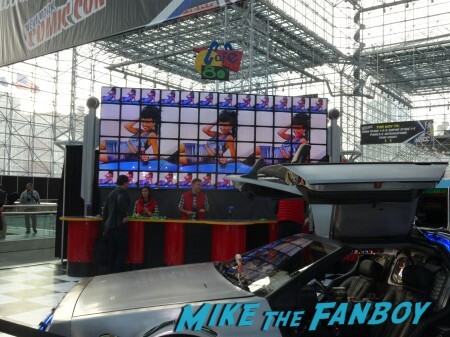 Pepsi promoted this event at NYCC with a quasi-Cafe 80’s complete with a DeLorean…and 1500 bottles of Pepsi Perfect that they just gave away. That’s right — gave away! 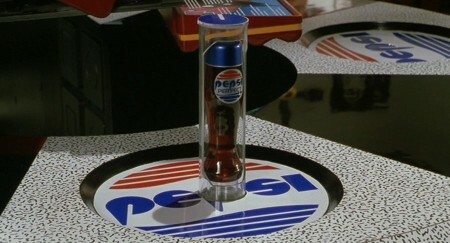 Each day, the first 200 Marty McFly’s could score their own bottle of Pepsi Perfect. Also, they had the Wild Gunman game and top scorers each day would also get a bottle. I’ve never seen so many puffy red vests in my life! The bottles immediately went for up to $400 on eBay so that was the most generous swag I’ve ever received from a panel. (Not that I’m selling it, but it did make transport on a plane interesting). For others who drank it that day, that was the most expensive drink they had that week… lol! TV Heartbeat! Finales for Letterman and Mad Men!! The ORIGINAL Jamie/Fraser on Outlander! A Round Up on Renewals & Cancellations! TV Heartbeat Preview! Z Nation Tries to Find the Cure During the Zombie Apocalypse! 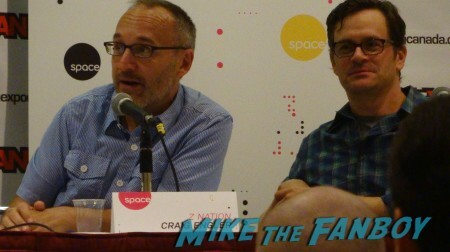 The New Series Debuts on Space and Syfy this Friday!